Estonian Environmental Law Center participated in a project of Association Centre for Development and Support (Bosnia and Herzegovina) and Green Action (Croatia) named “Moving towards successful public participation in the Sava River Basin water management”, objective of which was to animate and educate public actively participating in the forthcoming creation of the cross-border Sava River Basin Management Plan, and the public to be recognized by the decision makers as equal and resourceful partner in this process. A one-week seminar was held for public and local governments of the area of Sava River Basin on subject of EU Water Framework Directive (Directive 2000/60/EC), a Best Applicable Model has been produced for public participation in the context of cross-border water management etc. EELC participated in the project as an external legal expert, providing consultations on issues of public participation, environmental impact assessment and EU Natura 2000 network. Other external experts participated in the project from Sweden, Germany, Hungary, Austria, Slovenia and Romania. EELC participated in the project, in order to pass on the experience and legal knowledge, gained by membership of Estonia in European Union since 2004. Zelena Akcija as well as EELC and several other external legal experts in this project are members of association Justice & Environment - network of European Environmental Law Organisations. The Project lasted for 24 months; EELC participated in the project since April 2011 until March 2012. 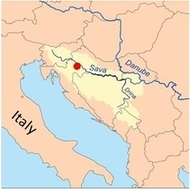 The Project was financed by a grant from Instrument of Pre-Accession (IPA) Cross-Border Programme Croatia-Bosnia and Herzegovina 2007-2013.